Enrique López is a Printmaker/Creator born and raised in Los Angeles, California. He studied Art while attending the University of California Santa Cruz and spent three years working as a Course Assistant in the Art Department. Currently, he is a monitor in the Print Department which allows him to use the University facilities to continue honing his craft and sharpening his skills. Enrique finds inspiration in the urban landscapes in which he grew up and in his cultural background. From birds and flowers, to cityscapes and graffiti, he is inspired by anything and everything he sees. 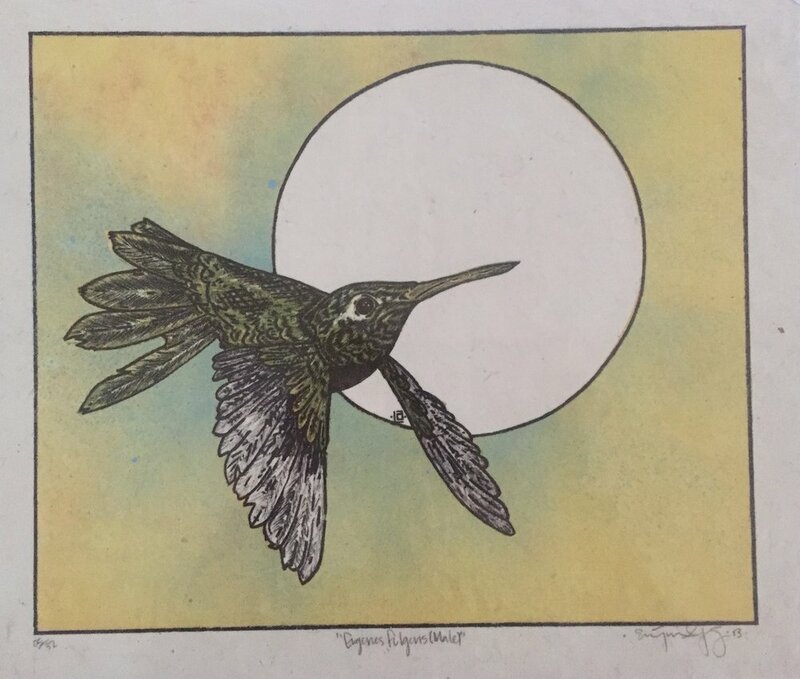 He primarily employs three types of printmaking techniques: woodcuts, stenciling, and lithography. As a Santa Cruz resident, he has been featured in multiple First Friday events in the Downtown area and continues to seek opportunities for exhibition.